Muscat: Sultanate of Oman, one of the most astonishing tourist destinations in the Middle East region, has to tap the immense potential of ‘halal tourism’, which is one of the fastest growing tourism category the world over. Many destinations across the world have already taken measures to lure the surging Muslim travel propensity by ensuring exclusive services and facilities that can cater to the needs of this traveller segment. In the GCC, Dubai and Abu Dhabi are fast moving ahead with ‘halal tourism’ initiatives and branding efforts to take advantage of domestic cultural and religious environments to entice this subcategory of the tourism sector comprising travellers abiding by Sharia rules. 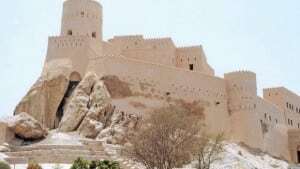 Unlike the competing destinations with artificial attractions in the region, Oman certainly has an advantage as it is magnificent with enchanting natural features and splendid culture and heritage. Oman enjoys all the reasons to promote ‘halal tourism’ as the most prominent category in the country, and the sector needs substantial investment in building up facilities that match the requirements and to brand it across the world as a competitive location for ‘halal tourism’. The emergence of Muslim travel segment as a major one is indeed a natural evolution which occurred along with the overall economic development of the societies. Once upon a time, before the demise of the global imperialism, travel, rather called precisely as tourism, was limited to a few: the ‘rich and the aristocratic’, the lucky lot of upper class of the colonial empires, and the religious missionaries. Currently, the tourism industry, has penetrated into almost all the societies across the world, and thus identified newer market segments at regular intervals. The latest addition to the whole gamut of tourism market is the Muslim segment which has certain specific characteristics, with demands for exclusive services and facilities. Realising the fast growing outbound tourism from the Arab region, especially from the GCC, competing tourism destination countries are in a hurry to rope in this potential. Sultanate of Oman is no exception, and according to the UN World Tourism Association (UNWTO), Oman’s outbound tourism is growing rapidly. In 2010, the expenditure made by Omani tourists in foreign countries increased by 36 per cent ($ 1768m) compared to the previous year. The year 2012 saw an increase of 12 per cent and the next year, it was more than 10 per cent ($2184m). ‘Halal tourism’ represents the form of tourism in which specific arrangements are made for the incoming Muslim tourists who are looking for services in accordance with their religious principles, such as restaurants serving halal meat and hotels with dedicated prayer areas, with the specified premises not serving any alcohol. Moreover, they may also look for separate swimming pools or beaches for men and women. At the same time, it doesn’t mean that ‘halal tourism’ is all about offering tourist attractions which are religiously associated. World Travel and Tourism Council (WTTC), the leading global professional body in tourism, has identified this type of tourism as a fast growing sub- segment. According to them, this sub-category of the tourism sector is focused mainly on individuals abiding by Sharia rules. “Hotels here serve no alcohol, spas have separate areas for men and women, religious programmes are offered as part of in-flight entertainment, and prayer timings are announced to all,” reports the WTTC. They estimate that this segment not only represents 13 per cent of the global total, but is going to be worth $200 billion by the end of this decade. The leading destinations are gearing up to rope in the fast growing Islamic market segment. Some, along with ensuring specific facilities and services, are already in a race to be branded as ‘Halal Tourist Destination.’ Turkey, for instance is far ahead in this respect as it has already ensured halal hotels that have come up fast in recent years. It offers a very wide range of Sharia compliant services, making it an ideal destination for Islamic tourism. Along with Turkey, Malaysia, Indonesia and Morocco, too, have braced up to tap the Muslim travel market, thanks to the global Muslim population of some 1.6 billion. According to the Crescent Rating agency, this market segment is now worth $140bn (£84bn; 106bn euros), and may rise up to $192 billion by 2020. Even GCC countries have also started to promote ‘halal tourism’. Abu Dhabi is leading by offering a range of holiday packages adhering to Islamic beliefs and practices. The authorities there are in a hurry to rope in tour operators and hospitality groups to offer tailor-made packages to halal tourists who do not wish to compromise their Islamic values while holidaying. Dubai is already the world’s most popular family destination that offers necessary facilities for halal tourists, as well. Many European countries have realized the economic significance of this fast growing market segment and initiatives are being launched to attract more Muslim tourists to visit their destinations. Recently, Japan has come up with strategies to attract Muslim tourists. Halal food is being arranged and special facilities are being ensured. South Africa has formulated plans to attract halal tourists as it considers ‘halal tourism’ as a potential gold mine. In Asia, Malaysia is considered a pioneer in attracting Muslim tourists. Arab investors reportedly spent more than $300 million building two “Arab cities” in Malacca, Malaysia. While Muslims engaging in international travel hail from both Muslim-majority and Muslim-minority countries, the list of the preferred countries is expanding. These tourists predominantly hail from Saudi Arabia, Iran, the United Arabic Emirates, Indonesia, Kuwait, Turkey, Nigeria, Malaysia, Qatar and Egypt. Sultanate of Oman is a recent addition to this. Their preferred destinations are Malaysia, Turkey, the UAE, Singapore, Russia, China, France, Thailand and Italy, as such countries cater to ‘halal tourism’. In Europe, according to Crescent Rating, France has become the most-sought-after destination, followed by England and Italy. The UK has been named the best halal-friendly destination by Crescent Rating and many hotels across Europe are now starting to provide exclusive services and facilities to cater to Muslim tourists. For the Sultanate of Oman, the need of the hour is to invigorate the processes to tap the potential of ‘halal tourism’ effectively. Of course, some projects have been begun for Sharia-compliant ‘alcohol-free’ hotels. Moreover, many hotels and other service centres have exclusive facilities as per the needs of this category of travellers. The local cultural environment is certainly an advantage for promoting this type of tourism. Yet, increased initiatives can make the destination an ideal one for ‘halal tourism’. A reorientation in the strategies and efforts will certainly make Oman one of the most fascinating tourist destinations for ‘halal tourism’.